After a beautiful drive down the Dalmatian Coast of Croatia from Split, we arrived in Dubrovnik slightly weary. 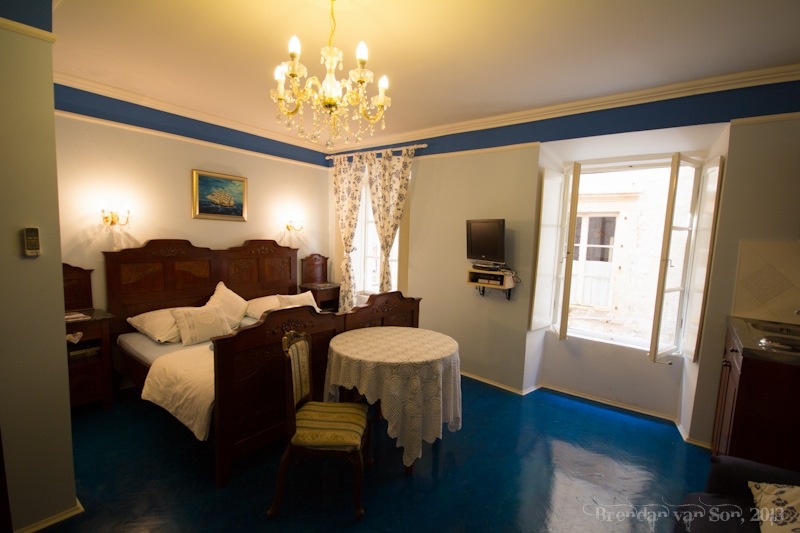 We managed to somehow taxi to the wrong apartment, so we dragged our bags into the heart of old town and to the doors of one of the Artemida Apartment properties in Dubrovnik. After being given the keys and a nice welcome by the owner, we were basically left with a piece of perfect home comfort in the heart of the city. We stayed in a studio apartment known as Apartment Bete, so we’re obviously going to focus the review on that one. 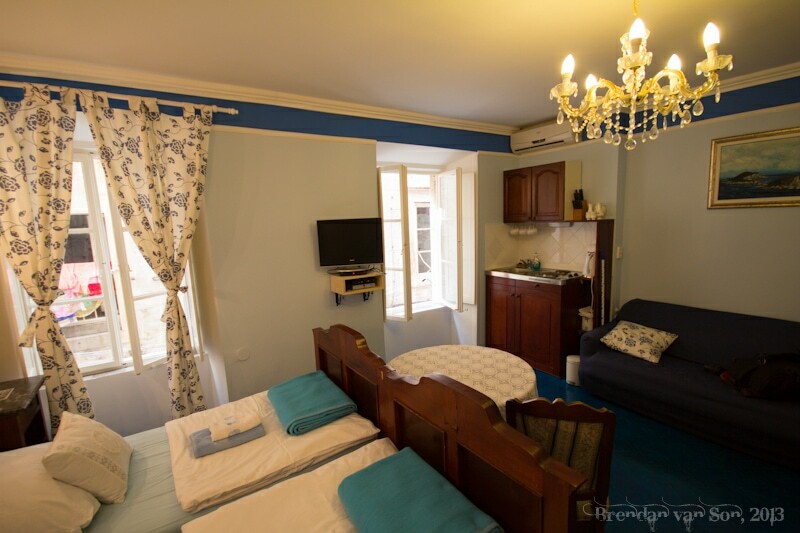 However, if you visit their website, you’ll find plenty of other apartments in other great locations in Dubrovnik. I think that the only way the location could be better is if the apartment was high up on the wall with a view over the city. 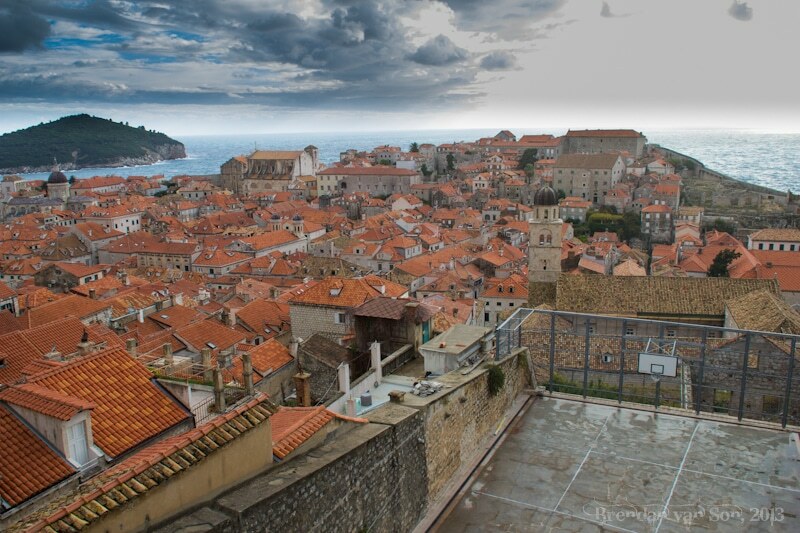 Though the historic old town of Dubrovnik is small, there are good and bad locations. This one is about perfect. It’s just one block in from the main street of the city which means it’s far enough from the noise but still close enough that you don’t have to hike around too much. You’re also fairly close to one of the city wall gates which means that 1) you can escape the high costs of the old city if you want, and 2) you don’t have to hike across the city to get up the wall. This is a studio apartment so it has the usual things you’d find in an apartment. It has a small but very functional kitchen fit with the usual cooking appliances. There is also a flat screen TV, a queen-sized bed and a nice, but small, bathroom. There is also wifi on site and it was nice and quick when we were there and didn’t time out on us at all. It’s a cozy atmosphere with a bit of an old-English feel to it. It’s definitely not a modern decor, but in an old town apartment in Dubrovnik you probably don’t want that either. Moreover, it’s got a bit of a homey vibe, and the fact that it’s not attached to some hostel or hotel means that you’ll really feel like you have your own property in the city. Very cool atmosphere. I’d be lying if I said I didn’t feel a bit classy and refined staying here. Since it’s an apartment and not a hotel or hostel, there isn’t much in the way of staff. We were welcomed by the very helpful owner when we arrived and they made sure that if we ever needed them they’d be just an email or phone call away, and they were. The beauty of this apartment, is that you don’t have the over-bearing feeling of being in a hostel, you feel like this is your own home for the week.